Home décor trends are forever changing, but one that’s remained popular over the past decade or so is the Eastern-inspired aesthetic. 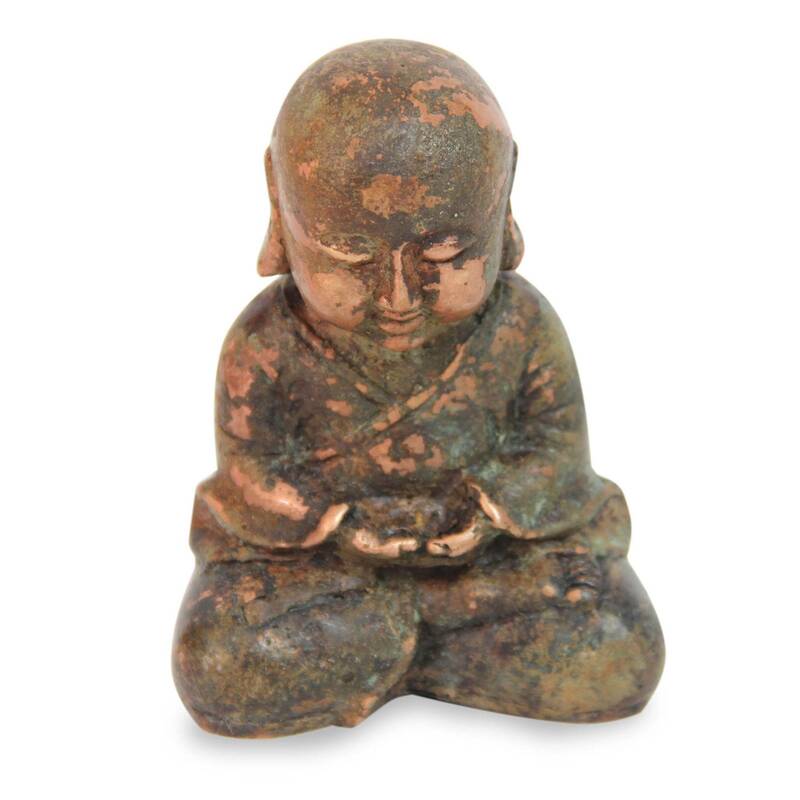 As such Eastern spiritual practices as yoga and meditation have gained tremendous popularity in the West, Zen gardens and Buddha statues have made their mark on Western decorative arts. There is a right and wrong way to incorporate an Eastern aesthetic into your home decor. Cultural appropriation — adopting elements of Eastern culture, i.e. Buddha statues, without respect for their religious and cultural context — is not just an affront to practicing Buddhists. It’s a missed opportunity to explore a rich and complex tradition, elements of which many in the West now practice to achieve a more fulfilling and peaceful life. Imagine that you’re Christian and you walked into a home to discover a crucifix sitting on the floor or being used as a centerpiece. It would feel disrespectful, and Buddhists feel the same when Buddha statues are displayed improperly. So if you keep a statue of Buddha in your home, make sure you follow Buddhist customs — and display it respectfully. A statue of Buddha should never go on the floor. It should be placed on a pedestal, table, or shelf. Ideally, it should form the highest point in the room — with no other objects towering above. Don’t put a Buddha statue any place where people’s feet will naturally point toward it, and make sure it faces toward the interior of the house. Lastly, never put a statue of Buddha in a bathroom. 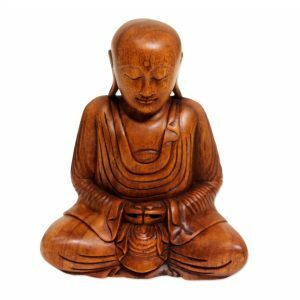 The first step to creating your own Buddhist shrine is choosing a statue of Buddha. Displaying Buddha heads has become popular but is highly offensive to most Buddhists, so choose a statue of Buddha’s full body instead. Ideally, display the Buddha statue on the top level of a book shelf. If you have them, place photos or statues of the Dalai Lama — Tenzin Gyatso is the 14th Dalai Lama and spiritual leader of Tibet — just below the statue of Buddha, with such offerings as candles, flowers, incense, food, and small bowls of water below. Practicing Buddhists are likely to place their shrines in the room where they meditate. But a meditation room doesn’t need a shrine nor does it have to be a room. All you need is a quiet, private space with soft lighting. If you don’t have an entire extra room, a corner of your living room, bedroom or study can easily be made into a peaceful sanctuary by separating it with a shoji screen or curtain and clearing the space of clutter and anything that would cause you stress or anxiety. Decide how you want to sit for meditation – in a chair, on a bench, or on a yoga mat with a pillow or cushion. Keep whatever you’ll need in the room, a clock or timer if you are working to extend the amount of time you spend sitting, and any other mundane items you might need, like tissues or a light shawl if you get cold. Other things you might consider placing in the space are candles, plants, rugs or a mandala wall hanging. Below watch UNICEF Market artisan – Balinese wood carver Wayan Rendah bring a beautiful Buddha statue to life.